CFD certificates are high risk investments and most high risk investments ends up being called a scam by traders who have lost money while trading with that investment. This is true for CFD certificates as well. There are a large number of people who have lost money on CFD:s and that claim that they are a scam. In this article we are going to look at CFD certificates and answer the question of whether they are right, whether CFD:s are scams or not. The simple answer is that “CFD certificates are not a scam”. They are a powerful but high risk tool that you can use to take leveraged positions that can help you earn or cause you to lose large sums of money. CFD certificates can be very dangerous to trade with and are not suitable for 99% of all investors. This does however not turn them into a scam. Just a tool that you need to be knowledgeable to be able to use in a responsible way. There is a common misconception that the broker makes money when you lose money on a CFD. It is also common that you hear that CFD brokers rig the trade to make sure that you do not earn any money. To make sure that they earn money. Neither of these two rumors are true. CFD brokers do not earn money when you lose money and they do not manipulate the CFD:s to cause you to lose money. Honest CFD brokers hedge your position on the open market and they do not make or lose money depending on how your CFD develops. They earn their money from spreads and overnight fees. A CFD broker wants you to earn as much money as possible. The more money you earn the more you are going to trade and the more the broker will earn. If you lose your money you will stop trading and the broker will not earn any money from your trades. Please observe that the above is true for large CFD brokers specializing in well established assets such as stocks. Small brokers offering CFD based on cryptocurrency and other niches markets might be dishonest and might be a scam. Always trade with large regulated CFD brokers. The two myths that is talked about above is just two examples of the lack of knowledge and understanding that plagues the CFD market. A lot of investors get seduced by the potential profits and start trading without understanding the large risk of the trade. They do not understand that the leverage multiplies both profits and loses. It is also very common that they start trading without understanding that they risk losing more money than they have invested. They see the potential profits and thinks that is is worth taking the chance and investing 1000 in a CFD. They do not realize that they can lose more than the 1000 they invested. They might end up losing more than 100 000. (how much depends on the leverage used). 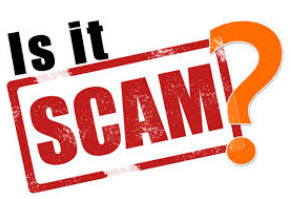 It is easy to understand why you might feel scammed when you invest 1000 and later get a message from the broker that tells you that you owe them 100 000. Money you are legally obligated to pay. This is the investors own fault. He or she invested without understanding what they were doing. But it still easy to understand how someone could (incorrectly) feel scammed. It is rare to lose a lot more than you have deposited in your account. Most brokers will close your position (margin call) if you do not have enough money in your account to cover the loses. But there is no guarantee that they will do this and it might be impossible to close your position before you have accrued a large debt to the broker in the event of a flash crash. Everyone needs to make sure that they know how CFD:s work and how to trade with them before they start trading. Many brokers provide demo account where you can trade using virtual money and learn how everything works. Another common misunderstanding is that a stop loss guarantees that the position closes at a certain value. This is not true. A stop loss only tells the broker to sell the position if the value of the positions sinks below a certain value. There is no guarantee that they will be able to do so at the stop loss rate. They might have to accept a lower rate to close you position. The broker will close your position to the best possible price. This might a lot lower in the case of a flash crash. The fact that CFD:s aren’t scams does not mean that there are no people who have been scammed using CFD:s. There are countless examples of financial advisers that have tricked people into investing in CFD:s without explaining the risks to them. There are numerous people who have lost their life savings after financial advisers have invested them in CFD:s. The reason they do this is that CFD brokers offer high referral commissions to the adviser. CFD:s are not scammed but a lot of people have been scammed by scam financial advisers into investing in them even though it wasn’t a suitable investment for them. 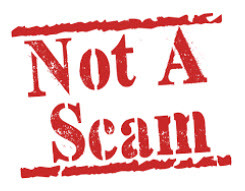 There are a number of smaller brokers that offer CFD services that are running scams. They do not hedge the position on the free market and do manipulate the CFD:s to make sure that the investor loses all his money. You can avoid this problem by all only trading with large companies that are regulated within the EU where the strictest regulations can be found.